MCX Gold seen batter position today. Gold august future has move above 0.26% trading at Rs 27834.00. MCX Silver September future has also create a leed more above 0.18% and trading at Rs 44995.0. Crude oil July future move over 0.45% and trade at Rs 6074.00. And Natural Gas has leed 0.24% trade at Rs 249.60. 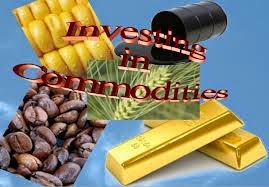 Gold: MCX Gold august future trade at Rs 27834 target 28000 stoploss 27560. Silver: MCX Silver September future trade at Rs 44995 target 45500 stoploss 44400.